The Leo man is born between July 23rd through August 22nd. However, the beginning and end dates can sometimes be different as they come on a cusp. If a man is born on one of these end dates, then he should check to know if he is really a Leo man or Cancer or Virgo zodiac sign. 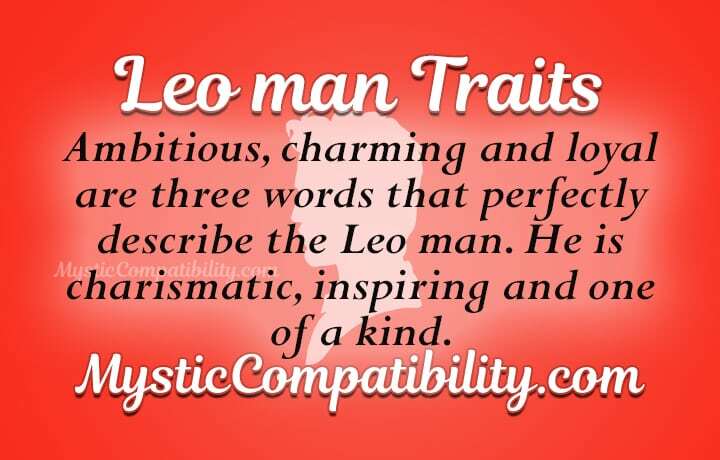 Ambitious, charming, and loyal are three words that can perfectly describe the Leo man. He knows what he wants out of life, and he is willing to do whatever he can to get it. Nothing will get in the way of a determined Leo man. This is true for all things in his life: love, work, and friendship. He wants to be the best that he can be, and he will stop at nothing to make sure that happens. 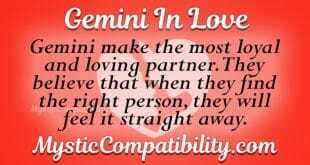 The Leo man traits show that he is passionate in all his romantic relationships, no matter how long they last. He is a fan of having both flings and relationships, sometimes at the same time. He is likely to cheat if he is unhappy in his relationship. If he is happy, he will be as loyal as any other sun sign. He wants to be with someone who is as charming as he is. The person he is with must have a sense of excitement and adventure if things are to work out. The Leo man in bed is extremely sexually passionate. He aims to please himself, but he also pleases his partner along the way. He is creative in bed, so it would not be strange for him to want to try new things often. He is also likely to have a kink or two. He will want to be with someone who shares these sexual traits with him. The more they have in common in the bedroom, the more romantic their relationship is likely to be. The Leo man personality has confidence leaking out of every pore. He is a born leader, and he will not be happy in any job that has him work as a follower. He needs to have a job that will allow him to either have the opportunity for him to advance up the corporate ladder. Or, he needs to work somewhere where he makes the rules. He will be happy as a manager, another high up position that will give him a lot of money and responsibility. Or, as a sports or entertainment star. The Leo male doesn’t worry about money, even though he should sometimes. The Leo man is a hard worker, and he earns money quickly. However, he is also a quick spender. He loves to live in the lap of luxury, even when he doesn’t have the funds to do it. He is likely to have a house or two, more cars than he needs, and more fancy clothes than he will ever wear. Leo men will need to learn to curb their spending habits if they want to be able to advance their saving habits. The Leo man personality traits show that he loves the finer things in life, especially when they are on his plate. You won’t catch him at a fast food place even if he is broke. He will put only the richest food in his mouth, both taste and money-wise. He both likes the taste, but he likes how important it makes him look as well. However, the Leo male can sometimes go overboard on this, which can make him gain weight as time goes on. He will need to make sure that he makes time to exercise so that he does not get fat. Working out in public or with friends are great ways to keep the Leo man motivated to look good. One of the ruling body parts of the Leo man is the spine, while other ruling parts also lie in or near his back. Because of this, Leo men often complain of back pain more than the other star signs. 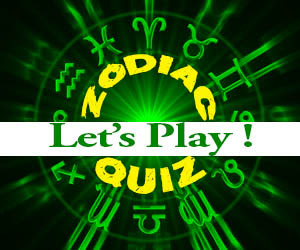 He will need to be more careful than the other zodiac signs when he exercises so that he does not hurt his back. The Leo man personality traits show that he is kind to just about everyone he meets; he is respectful towards them as long as they are respectful to him. He doesn’t make friends with everyone he meets, though. He can be more selective than some of the other sun signs when he picks his friends. He will want to be with people who can match his level of charm, intelligence, and attractiveness. He is not fond of being seen with people are below him. When he is with his friends, he is kind. It takes a while to enchant a Leo man into friendship, but once he is friends with someone he is sure to be loyal to them. He will never share a friend’s secrets or hurt them in any way. He is also a generous and dependable friend, and he is always ready to help a friend in need. As a young boy, Leos will try to be the best child they can be to impress their family members. They will get the best grades in school as possible, join clubs and shows for their family to watch. He will be kind to his siblings and he will always share his favorite toys. He is likely to look back fondly on his childhood, and when the Leo boy becomes a father he will be likely to try to raise his child in much of the same way that he was raised. If the Leo man ever becomes a father, which he will likely do at some point in his life, he will try to raise his child to be like he is. He will pass down traditional family values. He will teach his children to be independent and determined. The Leo male will let them know that nothing comes freely in life. His children, if he succeeds in his goals, will end up to be determined adults. The Leo man characteristics suggest that he likes to look good as often as he can. He will often spend great sums of money to have the latest fashions so he always looks good. Dazzling colors like red and gold help the Leo man to look his best. Really, it is his confidence that makes him think he looks so good, but the clothes help. He is likely to have shoes made out of the finest leather, jackets for every type of weather, and more button down shirts than any other zodiac sign. No one will see his man walking around in a T-shirt in jeans or a sweat suit. He does not even wear these things when he is relaxing because he always wants to look his best. Gold is one of the Leo male’s favorite things. He loves to wear jewelry, especially when they are made out of gold. He is not worried about looking effeminate because he wears his jewelry confidently. Rings are some of his favorite jewelry pieces to wear. The Leo man is one of a kind. No other star sign can match his sense of style, charisma, or determination. He will do whatever he can to live his life to the fullest. And, he is likely to inspire those around him to do the same.